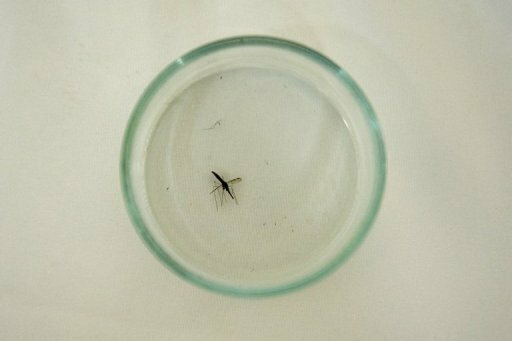 Scientists in Germany and Africa on Wednesday said they had found two variants of genes that help to explain why some lucky individuals do not develop severe malaria. The two variants were netted in a comparison of 1,325 people in the West African state of Ghana who had fallen ill with severe falciparum malaria and of 828 counterparts who were otherwise healthy. One variant is found in a gene called ATP2B4, they reported in the journal Nature. The gene's function is to help the passage of calcium through the membrane of red blood cells, which are targeted for infection by the malaria parasite. The other variant is located near a gene called MARVELD3, controlling a protein on the lining of blood vessels. The gene could play a part in reducing damage that occurs when colonized blood cells stick to tiny blood vessels, according to the research. The results of the study, led by Christian Timmann of the Bernhard Nocht Institute for Tropical Medicine in Hamburg, Germany, were compared with a similar survey among children in Gambia. A fast-growing tool in basic research, genomic comparison entails sifting through the human genetic code and looking for tiny changes that signify why some people are likelier to fall sick from disease and others less so or maybe not at all. The goals are to provide diagnostic tools, helping to identify people who are at greater risk, and develop new drugs inspired by the pathways which confer immunity. Previous work has found that people with the blood group O have a protection against falciparum malaria, the severest form of the disease. People with sickle-cell disorder, in which blood cells with an abnormal sickle shape can trigger anaemia, have also been found to be resistant to malaria. In 2010, malaria infected about 216 million people and claimed an estimated 655,000 lives, particularly in Africa and among small children, according to the UN's World Health Organization (WHO). Other experts’ say the toll is at least double that estimate.